Our all-in-one platform gives you everything you need to run your business. Point your existing or new domain/subdomain to CAMPA and we will eliminate the headaches of taking cash payments for your classes/courses. We provides facilitators with an online registration system that allows you to take payments for your services in advance. It helps with your cashflow and allows you to grow your customer base. We believe in simple transparent pricing. Get access to the CAMPA system for just €29.95 per year. Any payments that are processed through the system are charged at 5% + €0.50 per transaction. All credit and debit card transactions are processed securely via the Stripe payment platform. *Prices are charged ex-VAT at 23%. Our custom websites are fully SEO optimised for all the leading search engines. We provide the facility to link into all the various social media networks channels, allowing you to easily engage with your users and grow your reach and audience. Our powerful dashboard allows gives you full control to manage your classes/courses, registrations and payments. 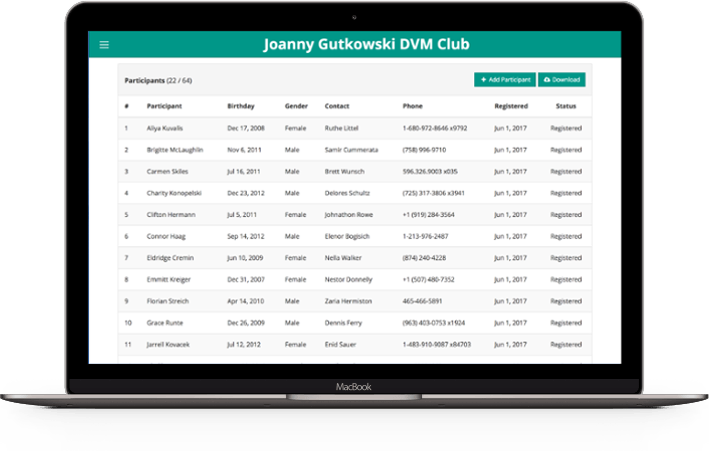 From within the system you can create/edit classes and add/edit/download participant lists. You can also set your own prices and issue credit card refunds. Complete registration formComplete the registration form or contact us via the form below. Our team will be in touch to activate your account. Customise your websiteOnce your registration is complete, our team will work with you to help you customise your site to get you live. Start accepting bookingsCreate your first camp/class and start accepting registrations and payments today. 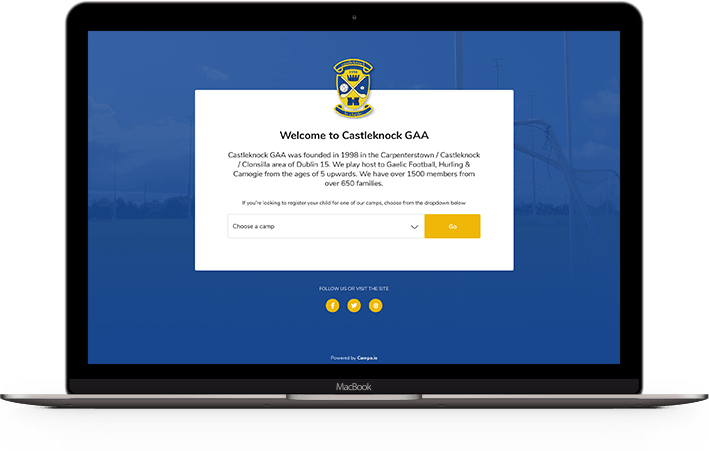 Castleknock GAA Club have been using CAMPA for registrations and payments of their Summer and Easter camps. The system has been hugely successful for the club, since going live there hasn't been one paper based registration.